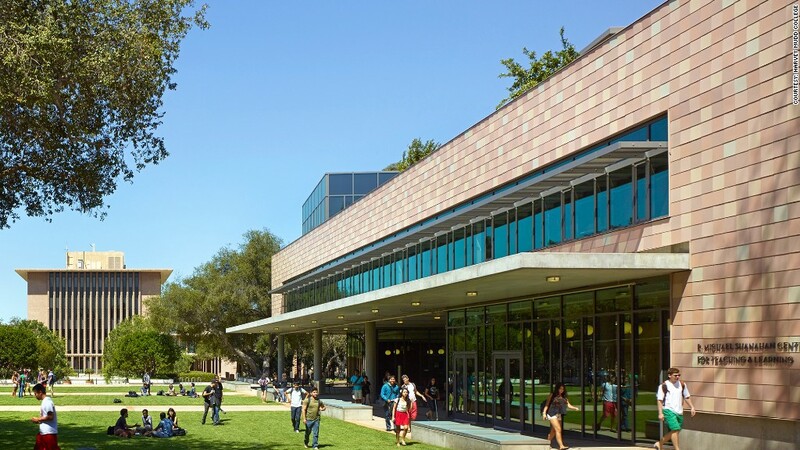 Harvey Mudd College is located in Claremont, Calif. This small liberal arts college only offers majors in the high-paying fields of biology, chemistry, computer science, engineering, math and physics. It's a unique approach, explained Katie Bardaro, an economist at PayScale, which ranked the colleges by median salaries earned by graduates. All 800 undergrads are trained in a specific, well-paying field, while also taking liberal arts classes that emphasize critical thinking skills. The approach seems to be working: One decade into their careers, graduates from this Los Angeles-area college are earning a median salary of $133,800 -- the highest of any other college or university in the country. Source: Source: PayScale.com. Data used in the College Salary Report came from surveys completed by roughly 1.4 million college graduates of 1,002 colleges and universities, which represent 75% of all bachelor's degree recipients in the U.S. Graduates with advanced degrees were excluded from the results. Only full-time, civilian workers based in the 50 states and District of Columbia were counted. The ranking is based on mid-career results, which comes from median salaries of graduates with 10 years of work experience. Whether a job is meaningful is based on the percentage of graduates who answered "Very much so" and "Yes" to the question: "Does your work make the world a better place?"